At iuventus medical center, we know how debilitating it is to have a musculoskeletal injury. Things may get even worse if your treatment plan includes nothing but mountains of pills. There is no denying that medications you’re taking may prove effective in the long run, but is it worth tolerating their multiple side effects? If you are seeking an alternative treatment that doesn’t involve pills, you may want to consider getting shockwave therapy for back pain or anything else that affects your well-being. It’s a non-invasive, non-drug procedure intended to help people treat their musculoskeletal disorders and restore mobility. 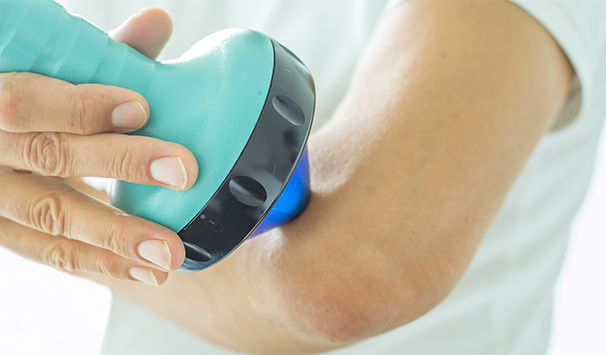 Simply put, shockwave therapy is about applying high-amplitude acoustic pulses to the injured area to speed up natural healing processes in the body. This treatment results in many positive effects on soft tissues, bones, and tendons, which is why it is often used in rehabilitation medicine and physiotherapy these days. If you’re suffering from chronic pain in the back, shockwave therapy may be the ideal option you’ve been looking for. The majority of patients with musculoskeletal injuries report the tangible improvement in mobility and relief once they complete the first course of treatment. As evidenced by multiple cases, shockwave therapy is beyond compare when it comes to alleviating pain in such regions of the back as lumbar and cervical spine, among others. What is more, many studies have been carried out to prove that shockwave therapy delivers spectacular results when it comes to reducing cellulite. It improves the dimpled appearance of your skin and removes those unwanted flaws on your thighs and buttocks. Statistics show that thousands of people get injured while doing sports, at the workplace, or under routine circumstances. Traumas that cause acute pain every time you move are one of the most common of those injuries. Shockwave therapy is indeed helpful when dealing with talocrural joint, hip, and heel traumas. Since it directs acoustic pulses to the trigger points in the injured area and significantly improves blood flow there, you will enjoy pain relief almost immediately. Also, the treatment stimulates your body’s healing processes so that your mobility functions are restored faster. If you’re feeling pain in the joints, whether it’s about your back, hip, ankle, or heel, shockwave therapy may be your best solution. Let iuventus medical center restore your mobility and fix sore areas using the latest equipment for acoustic pulse treatments. 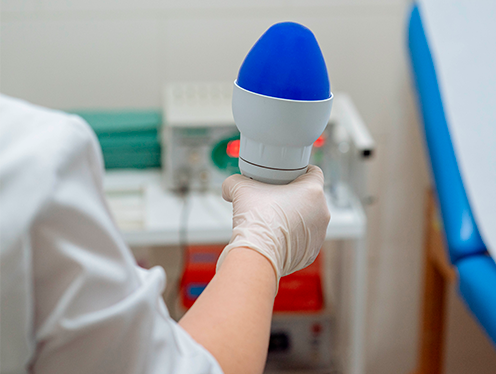 Before you receive shockwave therapy for an ankle injury or anything else that ails you, take your time and talk to your physiotherapist to make sure that it is not contraindicated for your case. Once you are advised to give it a try, feel free to contact us. We will be happy to provide you with additional details on the cost of shockwave therapy and the required number of treatments.